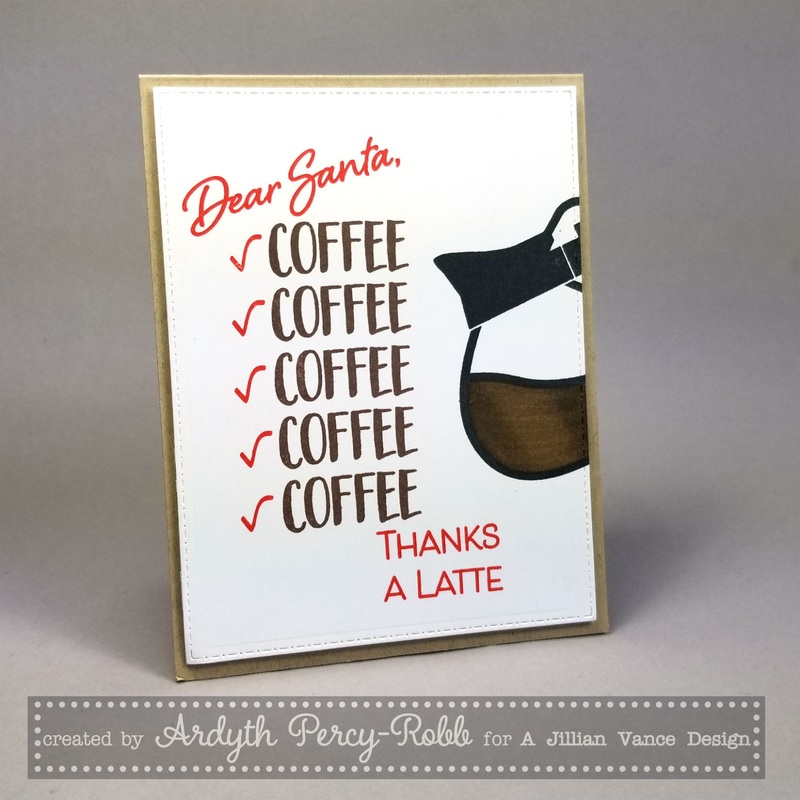 I'm on the A Jillian Vance Design blog today with this simple but fun Christmas-coffee card. Also linking up to the Winter Coffee Lovers' Blog Hop. Hahaa! Now that is a great sentiment and love your coloring. This card sure gave me a chuckle. Sometimes it feels that way when we get so involved with too much festive activities! It is so nice when you get everything on your list. Great design. Oh, this is so cute!! this card is so cute. awesome sentiment. Cute and fun card design for the season. Oh I LOVE this! How fun!!! So cute and fun design, love it! Awesome! Love this so much! And that's kinda like my list but there may be some crafty items on mine as well..lol!